We are 360 Fence Company. Having a fence installed is an important part of any home or business. Our team of fence builders takes the time to build your fencing project right. We stand behind our work and are sure you will see the quality too. When you are ready for a new fence, contact us for a free estimate. Check out our large selection of cedar plank fencing options. Get your custom built cedar fence today! Wrought Iron fences are the option for durability and style. Customize your fence with personal designs! Vinyl fences offer a combination of style and affordability. Check out our large selection of vinyl fences! Aluminum fences are sturdy, decorative, and strong. 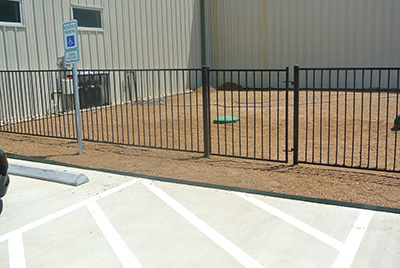 Secure your business with a new aluminum fence! Chain link fences are an affordable option for temporary fences, basic security, and more! Perfect for acreage, ranches, and country estates. Call today for a quote! 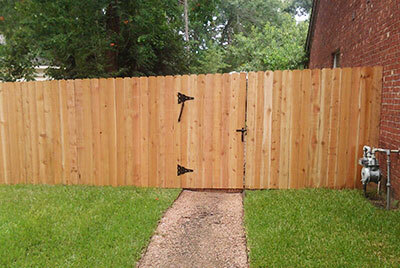 360 Fence Company is your fencing contractor in Tomball, TX. Our team of professional fence builders will ensure your commercial fencing project or residential fencing project is built right. Our fencing team is skilled in creating fences for a variety of applications with numerous materials. We have the fencing solution to fit your needs. Commercial fences are essential to businesses with high-value areas and in need of extra security. Our commercial fences help to control access to your property and act as a safety barrier to dangerous areas. With a variety of materials, including wrought iron, aluminum, chain link, and more, your new fence adds a touch of class. A professional residential fencing company can build beautiful fences that add a touch of elegance while giving you that valuable privacy. Our fencing company serves Tomball, The Woodlands, and surrounding Houston communities building quality residential fences out of the finest cedar planks! We are a fencing company in Tomball that also serves The Woodlands, Houston, and surrounding communities, including Conroe, Spring, and Magnolia.